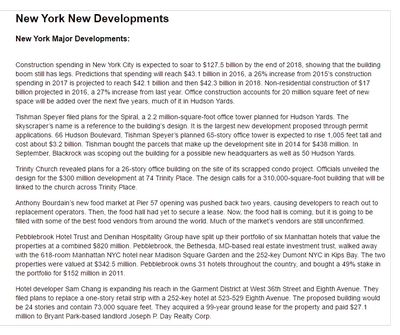 New construction about to start again in Midtown. 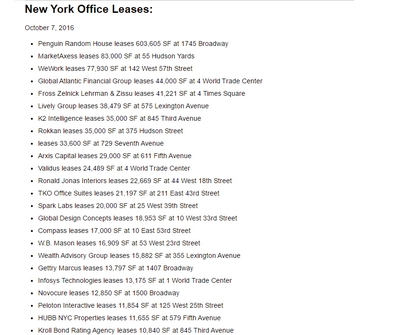 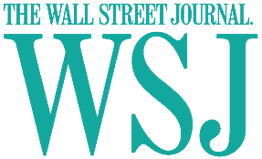 Banks are funding as Midtown office rents exceed $100/RSF … Boston Properties will be the first to construct a $1.05 billion, one million-square-foot office with their anchor tenant Morrison & Foerster at 250 West 55th Street. 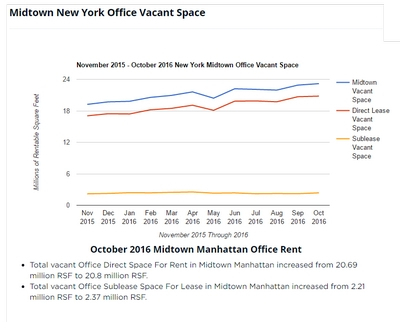 Midtown's smaller and older Class B buildings have vacancy rates rising and asking rents declining, bucking the overall positive trend in Manhattan's largest market. 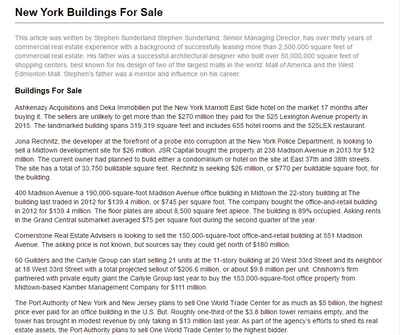 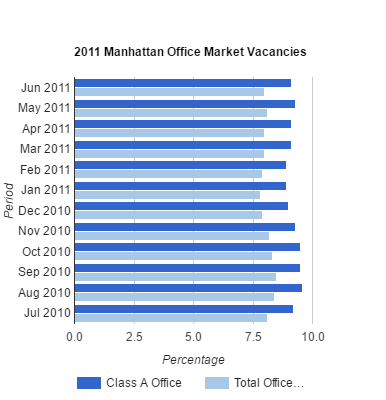 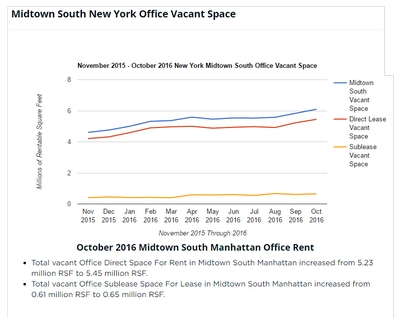 "I would say that a concern today is the Class B market in Midtown as it is lagging in the recovery. 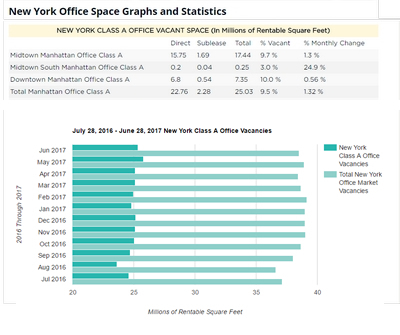 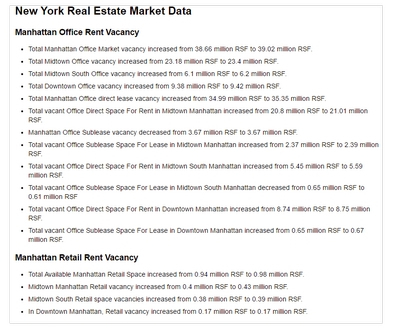 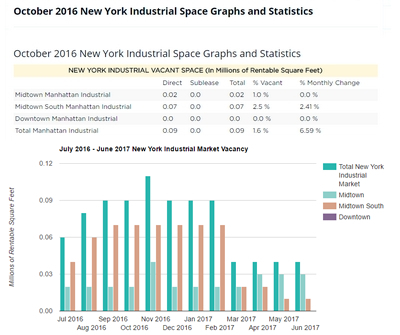 The 70 million square feet of Class B office space in Midtown had a vacancy rate of 15.3 percent in April, up from 14.2 percent in April one year ago. 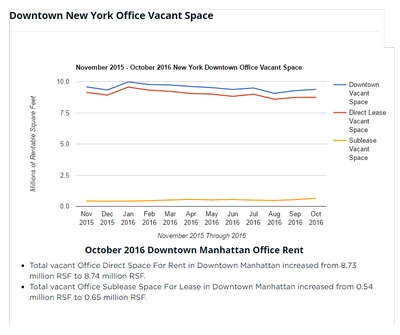 Retail rents in Lower Manhattan jumped 23 percent in the spring of 2011 compared to the fall of 2010, according to a report released today by the Real Estate Board of New York, and apparently that's because of the news coverage World Trade Center construction has garnered. 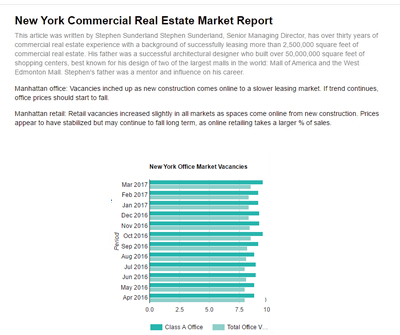 Lower Manhattan has been receiving national and international attention as a result of the progress at the World Trade Center site. 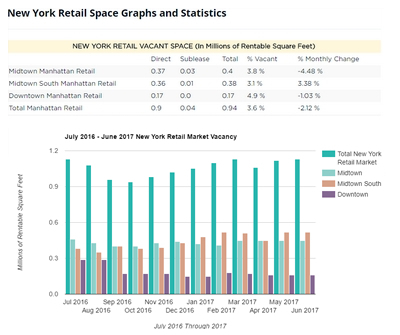 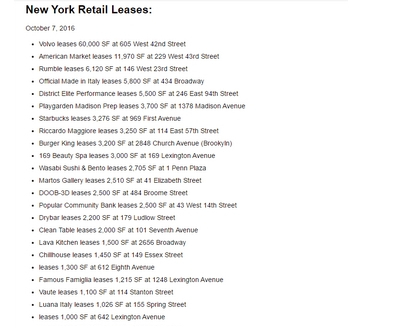 The rise in asking rents for retail space shows that retailers are looking to capitalize on the increase in pedestrian traffic expected there in the years to come.